Engage with the world through words. Use reading, writing and research to render the ordinary extraordinary. By studying English at Concordia, you equip yourself for life by learning to read challenging texts and communicate complex ideas. Whether you work in a field directly related to English or another career that is enriched by your English study, you will be prepared by learning inside and outside the classroom. 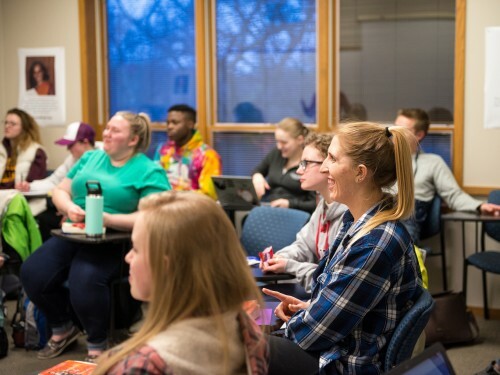 Concordia offers three separate majors in the English department — something that sets us apart from other schools our size. As an English writing major or minor, you will learn to write for a variety of genres and will develop advanced skills in one particular genre. Studying literature will give you a deeper understanding of the text you are reading and the context in which it was written. This major prepares you to teach English with communication arts/literature to students in grades 5-12. Earn an English minor to prepare you for the future, whether it’s in a field directly related to English or another career that is enriched by your English study. Prepare yourself for any job in journalism with this interdisciplinary major combining studies in English, communication studies and art. Between grad school and hitting the job market, you can do a lot with an English degree. We’ve got graduates pursuing master’s degrees and doctorates all across the country, furthering their study of writing and literature, or using their English degree as a foundation for law school. If grad school isn’t your thing, we have alumni working as movie screenwriters, publicists, innovative teachers, business professionals and regionally touring authors. Regardless of your concentration, English majors will develop a creative and imaginative mind, an appreciation of language, research strategies, intellectual curiosity, and an ability to think critically. Concordia offers English students many experiential opportunities to build these skills. 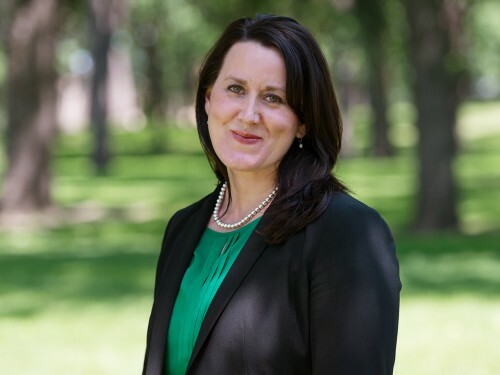 "What nonprofits need are the talented, enthusiastic individuals that are coming out of Concordia," says Kristi Huber '98, President of United Way of Cass-Clay. 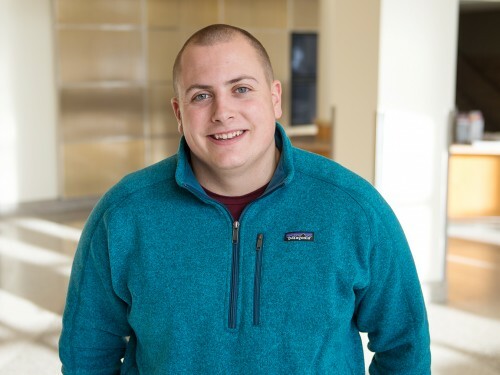 Huber encourages students to get involved in the community during their college years and start building connections. 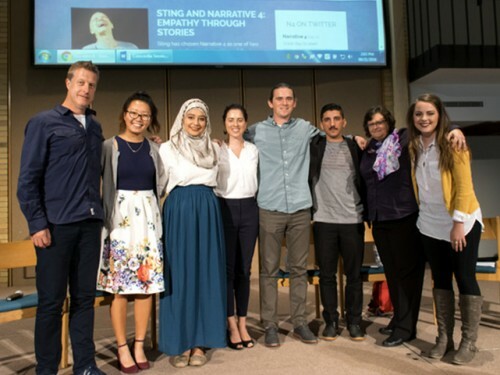 Concordia is a pioneering college-level member of Narrative 4, an organization that strives to break down barriers between people through story exchanges. “When I first heard about the new book courses, I thought, ‘a book club you get credit for? Sign me up!’” said English writing major Ali Froslie ’18.